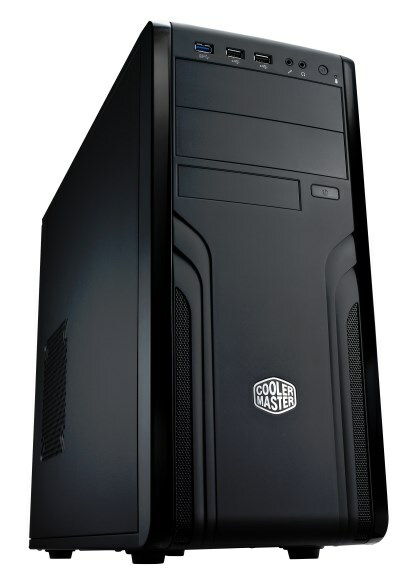 Cooler Master shows off the CM Force 500, a new budget case that will hit the market within about a week for 39.99EUR. For this price you seem to be getting quite a lot of features. The Force 500 measures 190mm x 426mm x 491.5mm, it weighs 5.23kg and is made from steel. 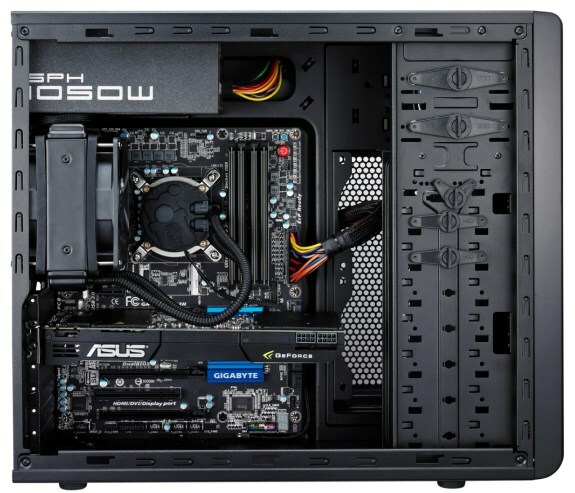 The interior supports Micro-ATX and ATX motherboards, there are two exposed 5.25" drive bays, one exposed 3.5" bay, seven 3.5" HDD bays, one 2.5" SSD tray, and seven expansion slots. The front I/O panel features one USB 3.0 port, two USB 2.0 ports, and HD audio ports. Cooling is provided by a 120mm rear fan, and there's room for a total of six fans. In case you prefer watercooling, the Force 500 has room for one 240mm radiator and one 120mm radiator or three 120mm radiators! The maximum VGA card length is 320mm (with HDD cage) and maximum CPU cooler height is 163.9mm. Every modern PC needs decent cooling to handle the components that keep getting hotter and hotter. The CM Force 500 will have you covered for this demand with a possibility to install up to 6 fans, of which 2x 120mm can be installed in the front. Even more impressive is the fact that this case gives a lot of freedom to add water cooling. It support one 240mm and one 120mm radiator or you have the option to install 3 120mm radiators. This case is ready for everything you throw at it. Bring on your high end gear! This case offers brilliant cooling options for a reason: It offers room for a lot of high end hardware. The CM Force 500 can fit virtually any VGA card on the market; even the monstrous HD7990 does not pose any kind of problem. 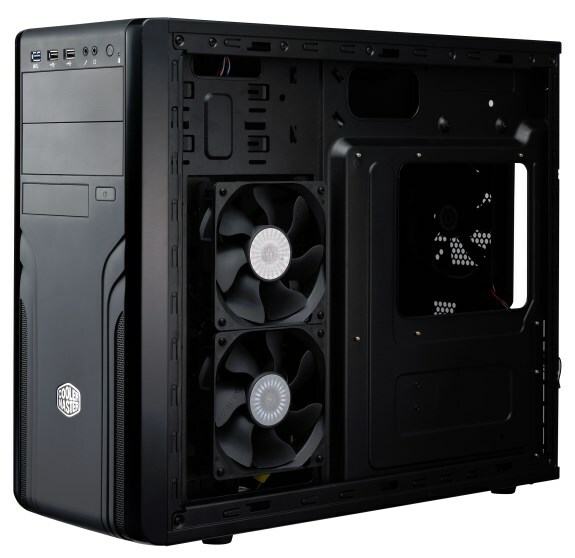 Next to that you also have the possibility to mount the PSU at the top of the case, a feature that is sought after more and more in modern cases to make sure virtually every PSU can be fitted into this case. Of course there is also plenty of space for getting the cable mess out of view to give this case the clean look it deserves.